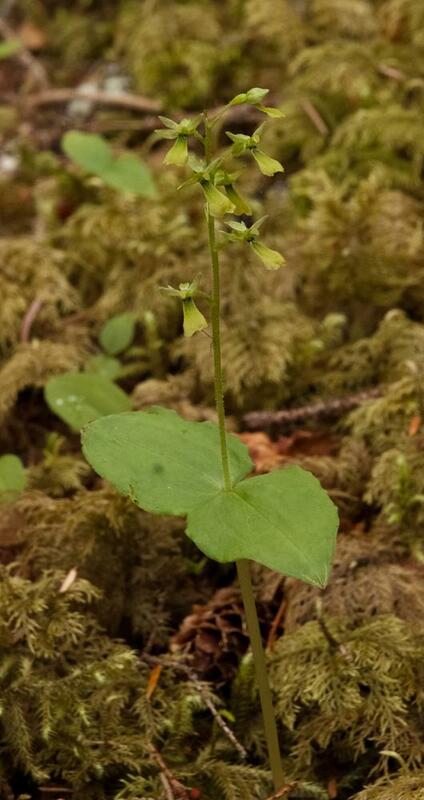 Neottia banksiana, known as the Northwestern Twayblade, is endemic to the Pacific Northwest and grows in moist coniferous forests, boggy wooded slopes, fens, subalpine meadows, and floodplains. 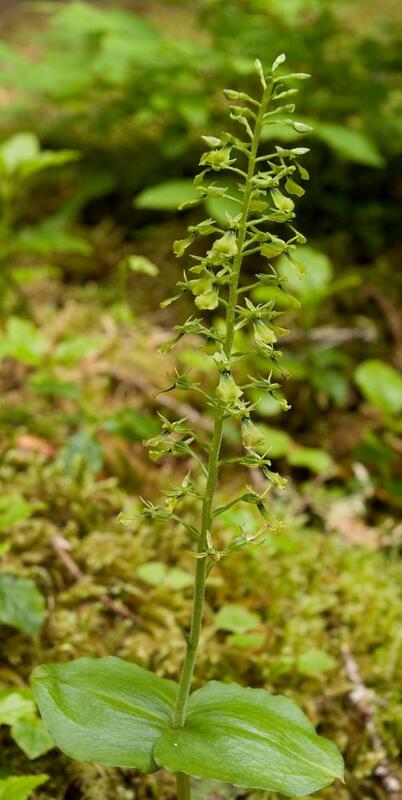 The orchid grows up to 30 cm. 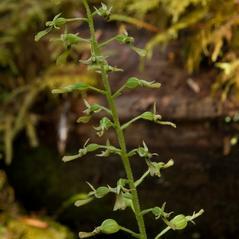 The opposite leaves are above the middle of the stem. 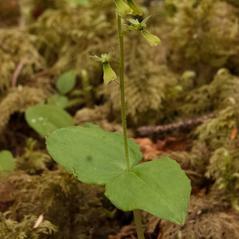 The loose raceme has up to 25 small yellowish green flowers. 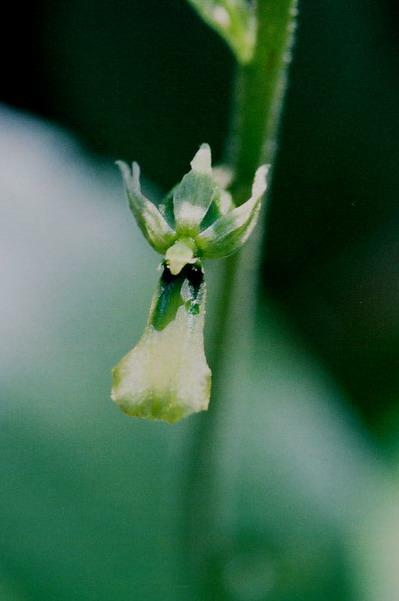 Lateral sepals and petals are spreading and sickle-shaped. 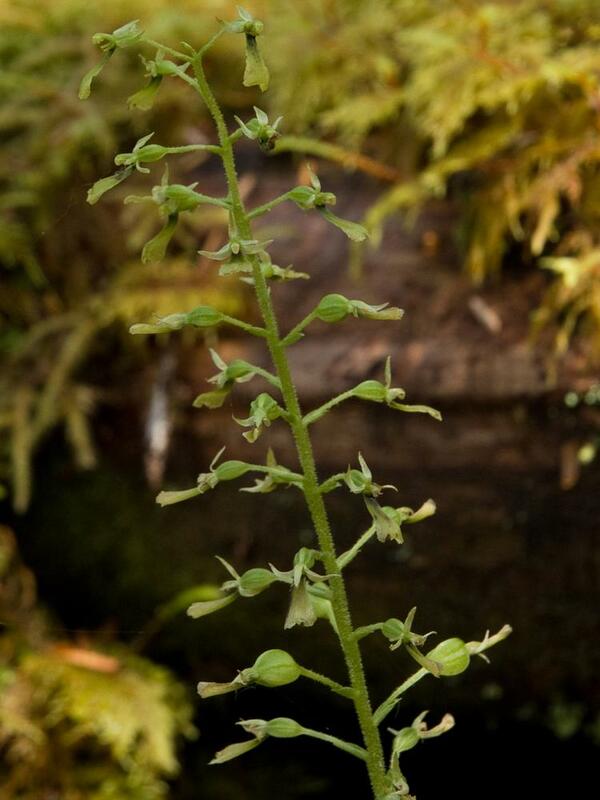 The labellum is wedge-shaped, with a broad, rounded apex. 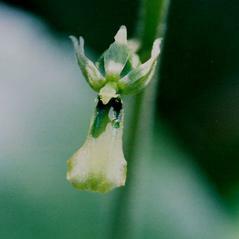 Some plants have a slight notch or tooth at the apex. 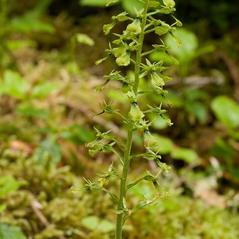 Two dark green stripes extend to the base of the labellum. Neottia banksiana's global rank is apparently secure.